Thanks for visiting our virtual Volkswagen World. Not all dealerships are created equally. Here you’ll find the word family is an integral part of who we are. The Stohlman Automotive family has deep roots in the community. Mr. Richard Stohlman started in the business in 1956 at Stohlman Chevrolet, which was founded on M Street in Georgetown in the 1930s, becoming a DC institution for many years. 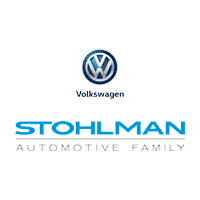 He worked with his father, Edwin L. Stohlman, and his brother, Ed Jr there until launching a new VW store in 1971. A graduate of St. John’s College High School in DC and the University of Pennsylvania’s Wharton School of Finance, Mr. Stohlman served as a first lieutenant in the United States Army. 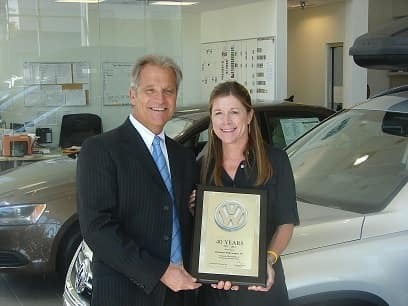 In 1971 he opened Stohlman Volkswagen in Tyson’s Corner, in what was then a sleepy little village. (at the time, it’s reported his father thought he was crazy to start a dealership way out there in the middle of farm fields…) In 1978 Stohlman Subaru was added in Tyson’s Corner. In 2007 Stohlman Subaru of Herndon was added as a second Subaru sales and service facility. The business has expanded over time and is now operated by his youngest daughter, Catherine Stohlman. Today, the Stohlman Automotive Family has grown to over 140 full and part time associates. Here you’ll find we not only sell VW’s and Subarus, but love to drive them as well. Just come out to our next Enthusiast Day or New Owner Clinic to see for yourself. Looking to purchase or lease a new car? You’ll find the industry’s best to work with right here, in an easy non-confrontational approach. Need service for your Volkswagen? We have all the latest technology to keep your vehicle running like new. With our Service Xpress lane, simple maintenance trips don’t require an appointment. The next year ahead will see a complete makeover of our Tyson’s facilities so our service to you becomes even better!